When dinner rolls around and you’re caught with your pants down – tacos are one a fabulous option. .I’m not sure what I love most about this meal – the taste, the lack of dishes, or the fact that the kids don’t need any prodding to eat.. Our secret ingredients are refried beans (we love Amy’s refried black beans) and guacamole. Choose soft taco shells (we like La Tortilla) over hard shells – they have less added fat and more protein. Despite this, we often often use hard shells for practical reasons: they are easier for the kids to handle. Load up on beans for extra protein and fiber. Choose simple low-sodium black beans over refried beans for less salt and less fat. Pantry Tip: Always keep a few avocados ‘in stock’ so you have a ripe one handy. Beyond taco night, they will serve you well in salads, on toast, or in smoothies and puddings. Dice toppings: lettuce, tomatoes, onion. 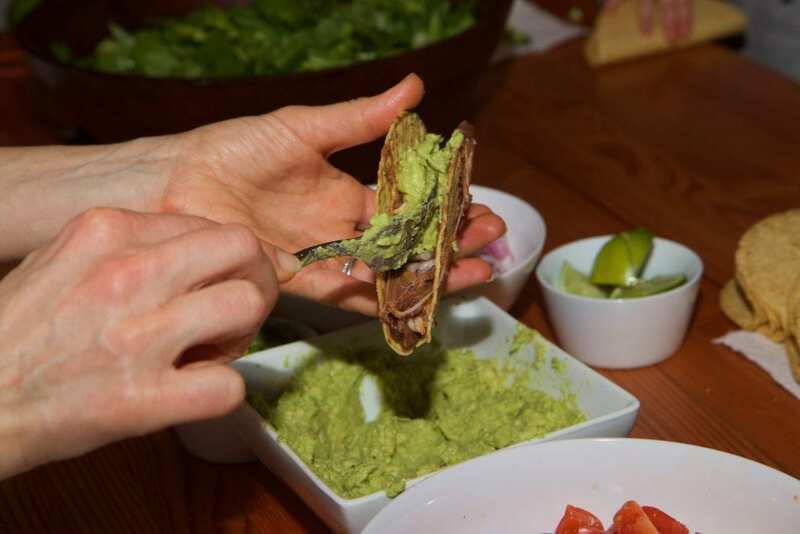 Prepare guacamole: smash avocado with fork, add minced onion, garlic, lime juice. Add salt (and possibly more lime) to taste. 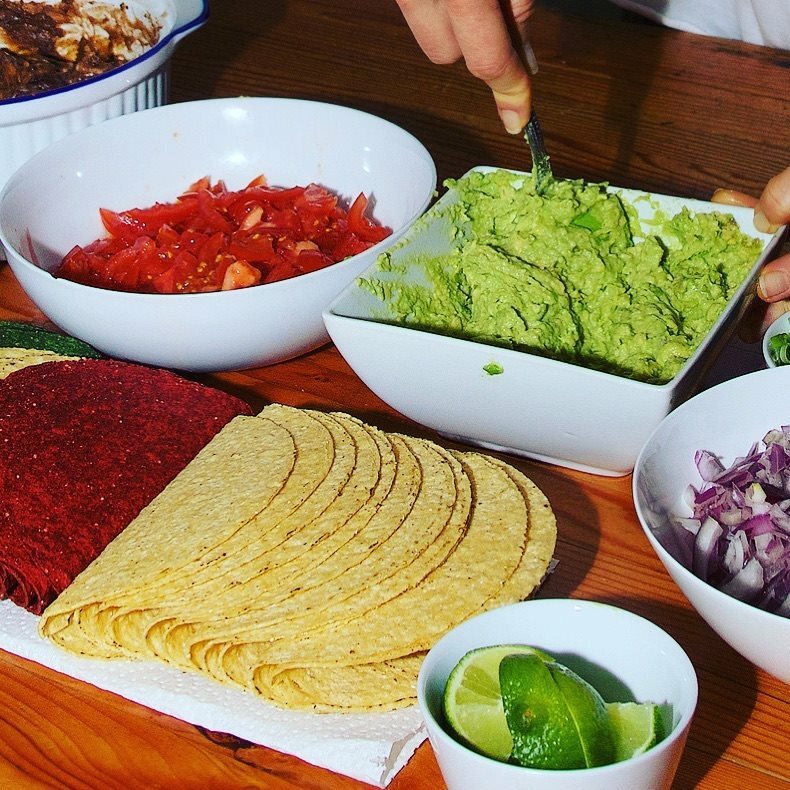 Assemble tacos as desired – usually (warmed) beans first, then veggies. Tip: If you opt to add cheese, try microwaving shredded cheese mixed with beans for less mess and faster serving!